1. Preheat the oven to 180°C/350°F/gas 4. Wrap the sweet potatoes in foil and bake them in the oven for about 35 minutes or until tender. Leave until cool enough to handle, then peel and cut into 2.5-cm/1-inch rounds. 2. 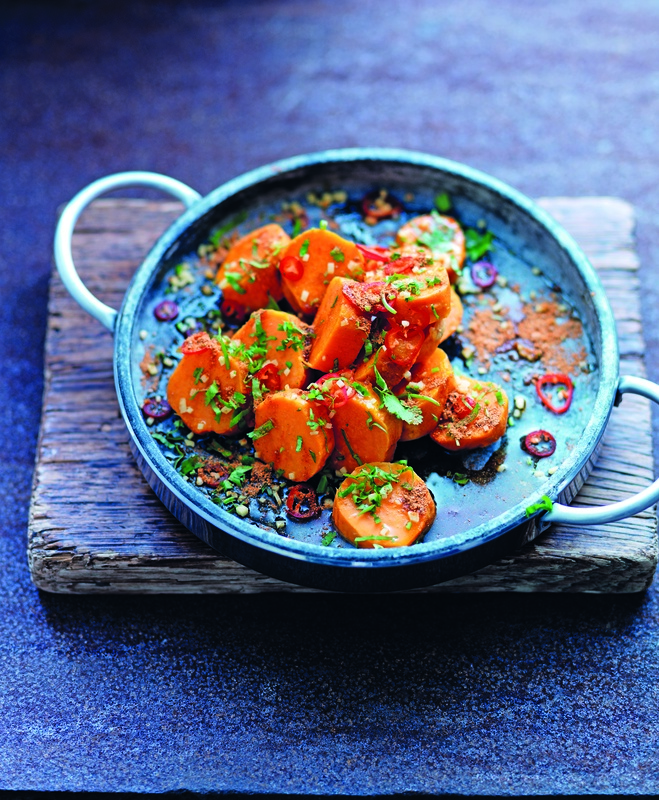 Put the sweet potato in a bowl, add the chilli powder, cumin, amchoor and salt and mix well. Squeeze over the lemon juice, then add the chilli, coriander and ginger. Serve warm. Recipe from Food of the Grand Trunk Road by Anirudh Arora and Hardeep Singh Kohli, courtesy of New Holland Publishing.